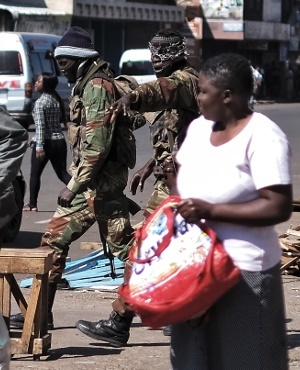 The electoral commission had by that relatively quiet Tuesday afternoon announced only seven results for the MPs – resounding successes in very rural constituencies for the governing Zanu-PF. However, within 24 hours (Tuesday, August 1), the electoral commission was able to release all the parliamentary results, proclaiming a massive victory in the national parliament: 155 seats for Zanu-PF and only 53 for the long-time aspirants, the MDC-Alliance. All were still on tenterhooks for the presidential results. Zanu-PF thus had more than the two-thirds majority in parliament needed to change the constitution – again – so the renewed Zanu-PF president might be able to continue in power for ever. That is what Mugabe thought would be his destiny, until the coup only eight months ago changed his mind. The long participatory process from 2010 until 2013 that produced the lovely liberalism of the contemporary constitution could be for naught. That whole legal framework - albeit barely implemented by the last regime - could be replaced by one more amenable to a dictatorship. The presidential results were announced Thursday night. Advance copies were sent to me, and the NGO monitors had them too. It was, as predicted, a Mnangagwa win. - David B. Moore is professor of Development Studies and visiting researcher at the Institute of Pan-African Thought and Conversation at the University of Johannesburg.